OLS v. NWMLS is a continuing battle between two MLS systems in Clallam County, which includes our two biggest cities, Sequim and Port Angeles. If you’re not familiar with the terminology, the OLS is the Olympic Listing Service, our local MLS (multiple listing service), and the NWMLS is the Northwest MLS based in King County outside of Seattle. Sequim and Port Angeles real estate brokers largely feel obligated to belong to both MLSs, which means entering their listings twice in two completely different systems with different data fields, different entry requirements, and different rules and penalties. There are a few holdout brokers who have refused to join the NWMLS as of this date. While I once thought it was wise and beneficial for my clients to belong to the NWMLS, I now realize having two MLSs is bad for everyone and all of us would be better off if we only used the OLS. As I will explain in this article, that is not likely to happen, so the OLS v. NWMLS battle will continue. The OLS includes the listings of Sequim and Port Angeles, and 100% of local brokers are members of the OLS. The NWMLS is based on the Seattle side of the pond and includes the listings of 25,000 brokers in the Seattle-Tacoma metropolis and the surrounding counties. I used to think that a Sequim homeowner who wanted to list and sell their home needed to be in the NWMLS in order to give their home the greatest possible exposure to the most buyers and the greatest possible exposure to the most buyer’s agents. With that in mind, I have been a member of both MLSs for about 10 years. Here’s what I’ve learned. Buyers for properties in the Sequim and Port Angeles areas do not come through the NWMLS. In other words, in 10 years, I haven’t sold a single property to a Seattle buyer who used the NWMLS, nor have I sold a Sequim property to a buyer through a Seattle area Realtor. Not one. In 10 years. 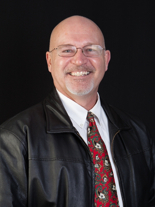 And I am one of Sequim’s top producers selling a lot of homes to buyers all over the U.S. I own the largest Internet marketing system to qualified buyers on the Olympic Peninsula for the Sequim real estate market. What I’ve come to realize is that the Sequim market and the Seattle market are viewed as completely different markets for buyers who are considering retiring to a rural area like Sequim. In other words, buyers looking at Sequim are most certainly not looking at MLS sites of listings in the Seattle area. Buyers who use the NWMLS to search for Seattle properties and not the same group of buyers who use the OLS to search for Sequim properties. So much for the power of the NWMLS to sell properties in Sequim. The NWMLS doesn’t even syndicate its listing through what is called an IDX data feed to other national sites, like Zillow and Trulia, and so on. The OLS does. Why is this OLS v. NWMLS a hot subject in Sequim and Port Angeles lately among Realtors? Because a choice must be made at this juncture to continue or terminate the OLS and move entirely to the NWMLS, or to continue with two MLSs. Having two MLSs is bad for everyone, but how do we get to only one? There is concern among Sequim Realtors that by moving entirely to the NWMLS, we open the Sequim and Port Angeles market up to Seattle area brokers who will list and sell properties here. That would mean a loss of business for Sequim Realtors, although we don’t know exactly how much. Local Sequim Realtors argue that the OLS serves local home sellers better, because they are served by local listing brokers who know the market. Seattle is an entirely different market with different issues for buyers and for sellers, so local homeowners will not be served well by listing with Seattle area Realtors. That is true for any priced homes. I make this point because some Sequim homeowners think they need to list their luxury homes with a national franchise based in Seattle in order to get their properties exposed to buyers around the world. That is simply a myth with no basis in reality. Without going into a lengthy explanation here, I’ll make the point by stating a few objective truths that demonstrate the folly of thinking a Seattle broker in the NWMLS has an advantage marketing a home to highly qualified buyers. If high quality professional photos are the advantage, I have the same expensive equipment a professional uses in Seattle, and 40 years of experience as a photographer. If a professional three-dimensional virtual tour is the advantage, I have that advantage. I believe I am the only Realtor who owns and uses one of these expensive 9-lens cameras in Sequim, Port Angeles, Port Townsend, or Seattle and Tacoma. If high quality aerial photos and aerial videos are the key to selling a luxury home, I have the advantage again. I may be the only FAA certified drone pilot among all Realtors in the Northwest. Listing brokers who do want to use these tools have to find and hire a professional non-Realtor to do the job for them. If a large marketing system to buyers is the alleged advantage of a large Seattle brokerage in the NWMLS, then I once again have the upper hand. I have spent the last 10 years building the largest Internet marketing presence to highly qualified buyers around the U.S. and Europe. 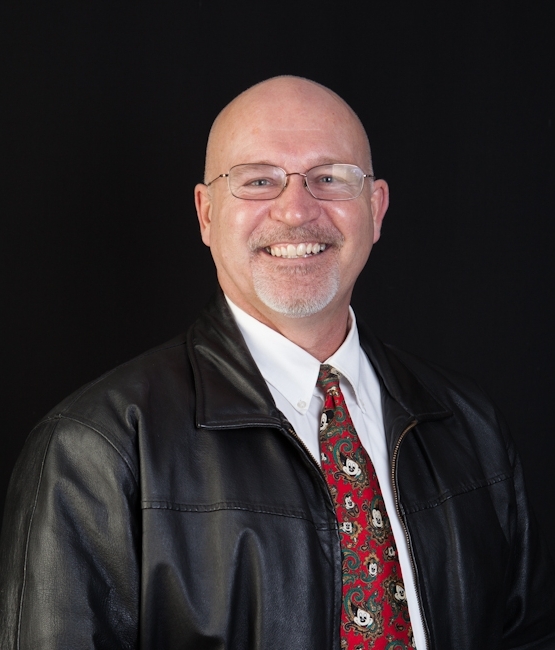 I have thousands of articles published on the Internet, which are written specifically to buyers about buying homes and land in the Sequim market. Not one Seattle brokerage has that, and therefore they do not reach anything close to the number of qualified buyers that this Sequim Realtor reaches. 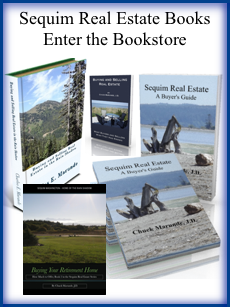 I have written a dozen books, mostly real estate books about this niche market, and these are written specifically to buyers to help them buy their dream home in the Sequim area. Not one Seattle broker has done that. And if real estate knowledge and experience are the key to gaining the upper hand for local homeowners of luxury homes, then I offer 40 years in real estate, 20 years as a real estate attorney, and many years as a Realtor and owner/broker of my own company. What is the point? The NWMLS does not offer any advantage to a Sequim or Port Angeles homeowner when it comes to effectively marketing and advertising a home, and Seattle area brokers who are members of the NWMLS do not offer some kind of advantage in terms of knowledge or experience. Sequim and Port Angeles homeowners who list with a Seattle firm because they have the perception that they will get better service or better marketing are sadly mistaken. But then again, one can understand how the “professionals in the big city” are often perceived as having something the country bumpkins don’t have. My argument here could be made by any true professional Realtor in Sequim or Port Angeles. Even if my colleagues don’t have all the advanced marketing tools and equipment I have, Seattle brokers have no advantage over their local knowledge and listing tools. There was a time many years ago when I thought the NWMLS was better than the OLS, and that we would all be better off belonging to the NWMLS and simply exiting from the OLS. Alas, the school of hard knocks has taught me the NWMLS offers no advantage for homeowners, buyers, or Realtors in the Sequim and Port Angeles market. We would all be better off with just one MLS and less confusion. So if the OLS serves local homeowners and Realtors better than the NWMLS, can we just all agree to exit from the NWMLS? There are a couple of important issues we need to add to the analysis before we can answer that question. The OLS is locally controlled and the MLS rules are managed by local Realtors with the best interests of buyers and sellers in mind. The NWMLS is a based in Kirkland near Seattle, and is governed by a bureaucratic board of brokers from three large brokerages and consists of over 25,000 area broker members. They have set up a maze of rules that set traps for honest brokers, and they created an automatic penalty system that assesses fines and then increases those fines automatically even though the Realtor may never have been notified of the original fine because it went into the spam folder of his email. The NWMLS has rules and software programming that assume every broker member is a dishonest sleazy salesman who would cheat his own mother. This is based on their immature business practice of creating harsh rules and penalties for the one-tenth of one percent of brokers who are sleazy. This means the practice of the NWMLS is to punish the 99.5% honest professional brokers for the sleaziness of the .05%. The implications of this philosophy by the NWMLS ticks off tens of thousands of brokers in the Northwest. Of course, the NWMLS decision makers have talking points that go on an on about how righteous the NWMLS system is and how it protects consumers and the real estate industry. So Sequim Realtors would like nothing more than to exit from the NWMLS and have only one MLS, the OLS. This would make sense for Realtors, and it would also benefit buyers and sellers with am emphasis on local expertise, and at the same time give buyers and sellers the advantage of all the marketing tools available in this high tech Internet world. Unfortunately, Sequim Realtors are a bit like passengers on a train with no brakes, and we feel like we have no control over the direction of this OLS v. NWMLS battle. That is because 100% of the Sequim and Port Angeles Realtors are not like to all agree in unison to exit from the NWMLS and only use the OLS. It’s just not going to happen. We won’t see that kind of cooperation any more than we will see Democrats and Republicans in congress suddenly work together for the good of America. Not going to happen. Even if all local Realtors agreed to exit from the NWMLS, there will still be Seattle brokers who are members of the NWMLS trying to list and sell in Sequim, and at listing presentations, brokers who are members of the NWMLS like to sell homeowners on the myth that their listing must be in the NWMLS. I used to think that way, too, but as I explained above, there is no marketing advantage for sellers in the NWMLS, and they may actually be at a significant disadvantage with a Seattle area Realtor who doesn’t even know and work this market. And as a reminder, let me say again that the NWMLS does NOT offer a large marketing advantage to more buyers. Buyers looking at Sequim real estate are using local Sequim MLS sites with the OLS listing data and photos, not NWMLS sites. Of course, many buyers do like to use Zillow and Trulia, but the Zillow and Trulia listing information comes from the OLS, not the NWMLS. The bottom line is we can’t get rid of the NWMLS. Sequim and Port Angeles Realtors do not have that power, and as long as brokers remain in the NWMLS, other local brokers will feel obligated to belong to both MLSs in order to get listings. Sellers do not understand all the issues involved in this OLS v. NWMLS battle, so they are likely to believe that their listings need to be in both MLSs. This means any local broker who wants to list will be forced to belong to both MLSs, even though he/she knows the NWMLS offers no advantage to the seller. As long as the seller believes the myth, perception will determine the outcome of the OLS v. NWMLS battle. Prediction. I am saddened to make this prediction, but it does appear that since we cannot get rid of the NWMLS but we could exit from the OLS, it is just a matter of time before the OLS is gone and 100% of local Realtors are members of the NWMLS. Local Realtors do not like having to pay for two MLS systems, and they hate having to enter every listing in two different MLSs. The OLS is like a ship at sea with a leak in the hull, and eventually the ship will begin to tilt and slowly sink. All that will remain is the NWMLS. I welcome comments and insights from anyone, Realtors and consumers, or even staff of either the OLS or the NWMLS, but I would say this OLS v. NWMLS battle seems to have a life and destiny of its own.